Being a brand-new online casino in 2018 is far from the easiest endeavour to take on, but that doesn’t stop numerous sites attempting to take advantage of an industry that while being one of the most competitive in the world, can also be one of the most lucrative. What a new site needs above all else is something to immediately catch the impact of prospective players, and that’s exactly what Genesis Casino has. With a name like Genesis, you’d hope that this site would start well, and it certainly has, immediately offering a promotion that will see one lucky player win a cruise! A nice way to get oneself noticed, undoubtedly, but it’s still going to take more than that for Genesis to develop long-term interest from players. 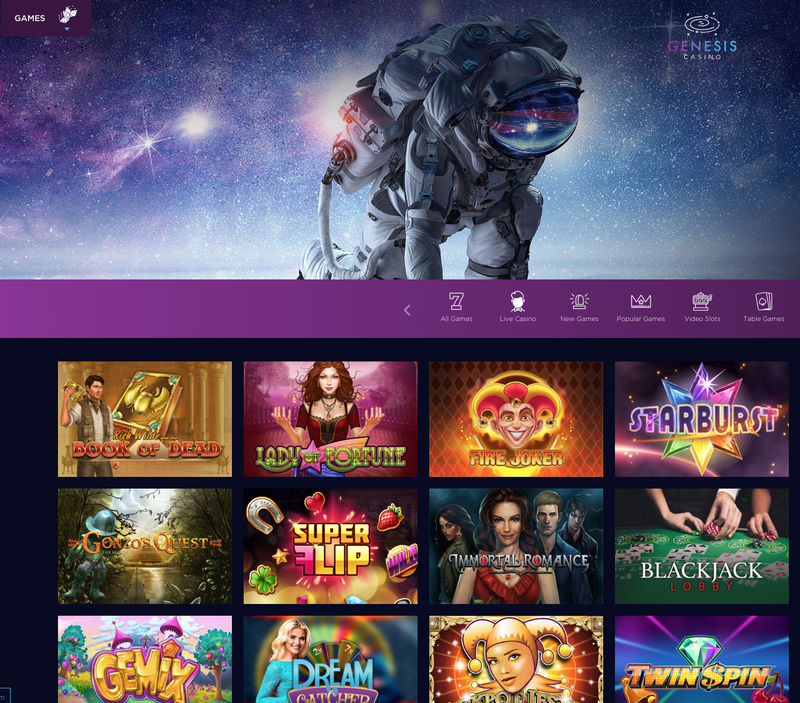 So, besides an impressive opening offer, what does Genesis Casino have that can ensure it has the ability to stand out from the countless established and new online casino sites that play the part of its competition in the industry? Is this a site that will impress, or just another new name destined for nothing more than intense mediocrity like so many before it? Genesis Casino does not exactly have the most complex design work in the world, but that doesn’t stop it being both eye-catching and attractive. Simplicity is okay as long as the execution is on point, and that’s exactly what you get here, with genesis bringing together a multitude of basic concepts to create a design theme that is far more than the sum of its parts. Purple is the main colour scheme here, with space and night skies combining to create the background, with a smattering of dark blues and blacks across the site to bring the concept to life, something that is, again, executed to perfection. Navigation is simple here too, with thumbnails allowing instant access to some of the sites’ best games. There’s also an interesting thing to note here, the focus of Genesis Casino is more on table and card games that it is on slots. This is a rare thing these days, as the popularity of video slots continues to grow at a startling rate, but many classic casino game lovers feel somewhat left out in the current climate, so for Genesis to offer something to appeal specifically to these players is a sensible choice. There is a downside to the focus on table and card games here though, and that is that Genesis Casino does not offer as many slot games as it needs to in order to really make an impact. Focusing on another game type is fine as long as you still offer choices for all types of players, and with titles here coming from a small list of developers that includes ELK Studios, Evolution, Microgaming, NetEnt, NextGen Gaming, Play'n GO, Quickspin, and SG Digital, there just isn’t enough on offer here. 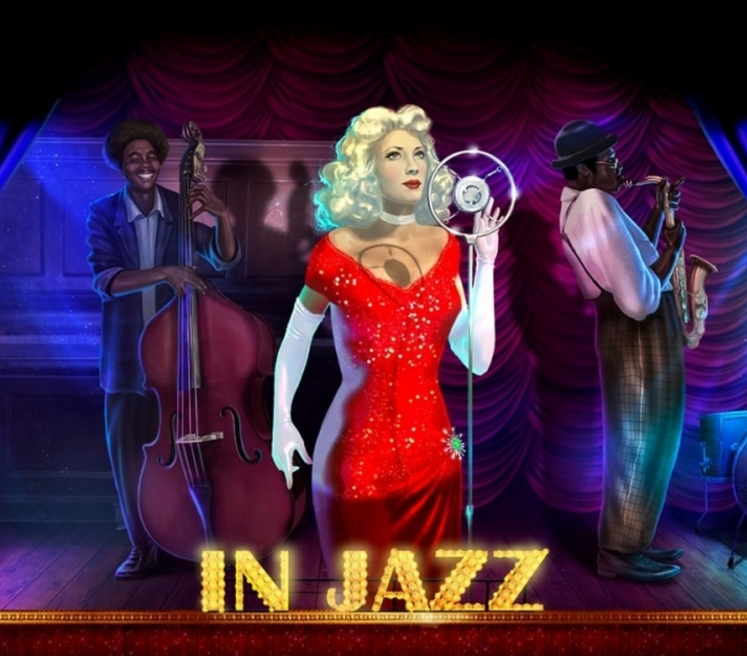 That isn’t to say that Genesis Casino has nothing going for it in terms of games, all the developers listed above are at the top of their game and provide a range of exciting titles. It’s just that if you compare the games on offer at Genesis against any more established and successful site, they can’t compete, and that’s a struggle for a new site. The current cruise promotion is likely to send a few players in the direction of Genesis Casino, but if they do not add a few more developers to the list soon, they won’t stay for long.